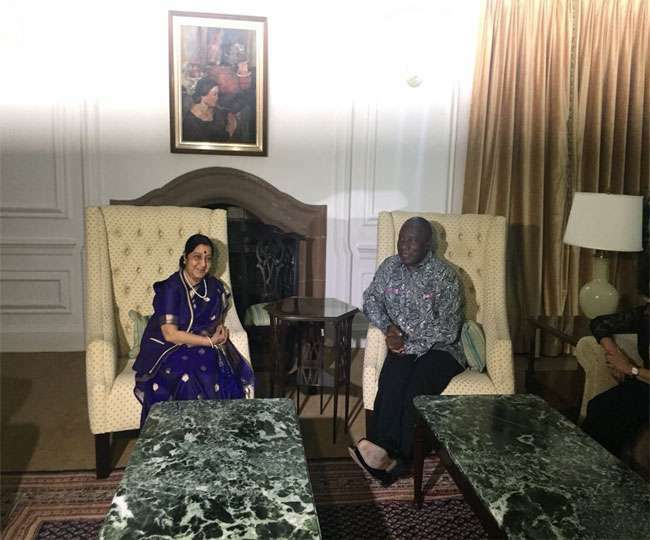 External Affairs Minister Sushma Swaraj met South African President Cyril Ramphosso on Sunday. [Durban]: External Affairs Minister Sushma Swaraj met South African President Cyril Ramaposa on Sunday. They also discussed other global issues other than bilateral relations. Sushma has reached a five-day tour here. He will participate in the meeting of the IBSA with the Foreign Ministers of the BRICS countries. During this time he will also participate in events that took place with Mahatma Gandhi on 125th birth anniversary, which had changed Bapu's life. They were thrown out of the train. After that Gandhi ji started a struggle against the British rule. The meeting of the BRICS is scheduled to be held on June 4 in Johannesburg. In this, Brazil, Russia, India, China and South Africa have to take part. In addition, he will be attending Ibsa, also called the Foreign Ministers of India, Brazil and South Africa. How to earn Bitcoins ?